There are many reasons to trim or prune trees and bushes. Apart from cosmetic reasons, it can help the overall health of the plant by eliminating diseased or dying growth and stimulate regeneration. 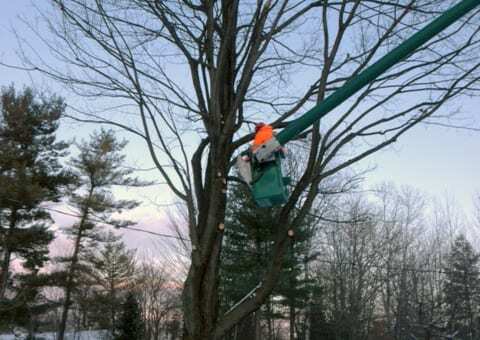 Your safety could also be at risk from dead and broken branches falling, or overgrown trees being damaged during strong storms. 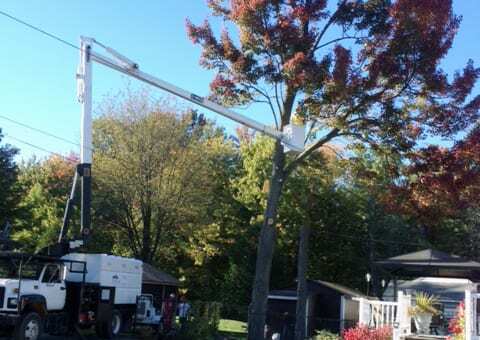 Using our forestry bucket truck, climbing attire and cranes, we can prune or trim any size of tree. Our team has extensive experience working around homes, outbuildings, hydro lines and anything else that could complicate access. Whether your trimming and pruning needs are strictly cosmetic, or to eliminate a potential hazard on your property, contact us today to have us out and take a look.